Environment Minister Harsh Vardhan today said Indian scientists along with their counterparts from the US and Finland have developed a mechanism that will soon be able to forewarn depletion in air quality. 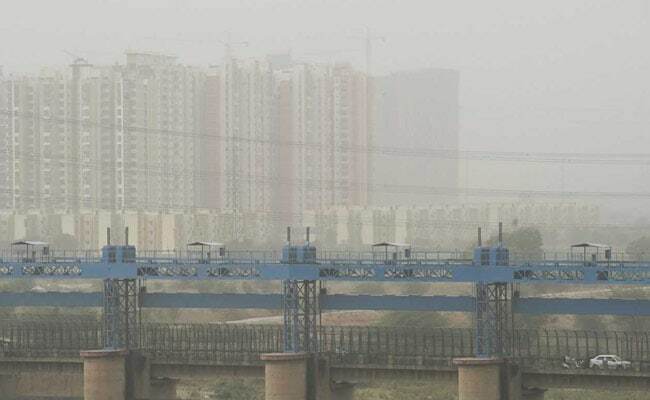 The Indian Institute of Tropical Meteorology in Pune, the India Meteorological Department and the meteorology centre in Noida will work together on the air quality issue, Harsh Vardhan said. These three institutions will help to calculate, take measures and give a three-day warning about depleting air quality. The air quality in Delhi has been deteriorating for the last few days. According to data released by the National Air Quality Index, the AQI was between moderate and poor on Monday with a drop in airspeed. "We follow a 'graded response action plan' under which various steps are taken keeping in mind the degree to which the air quality depletes. There are 40-45 action plans in it," Harsh Vardhan said. In past years with the help of the environment ministry, Air Quality index or AQI was launched by Prime Minister Narendra Modi in 2015. The AQI uses eight to 10 parameters to judge the overall air quality which is then further graded as moderate, poor, good and so on. "Last year, the government allotted Rs 1,100 crore following depletion in the air quality. Out of this, Rs 500 crore has already been disbursed for the Delhi-Haryana region. PM10 (presence of particles with diameter less than 10 mm) and PM2.5 (presence of particles with diameter less than 2.5 mm) levels have diminished as compared to previous years, and we have also kept a thorough check on stubble-burning," Harsh Vardhan said.